Jamie Dornan was born in Holywood, Northern Ireland, on May 1, 1982, is an model and actor from Northern Ireland. Young Jamie Dornan began his career as a model in 2001 and made his modeling debut for Abercrombie & Fitch (2003). He began his acting career in historical drama movie Marie Antoinette (2006) in role as Axel von Fersen, directed by Sofia Coppola. Jamie's breakthrough performance came as Christian Grey in romantic drama film Fifty Shades of Grey (2015) opposite Dakota Johnson. He portrayed same character in sequels: Fifty Shades Darker (2017) and Fifty Shades Freed (2018). He is one of the top-earning models and actors on the Forbes list. Dornan married English actress Amelia Warner, on April 27, 2013, they have two daughters. He starred in nine episodes of the ABC series Once Upon a Time (2011) in role as Sheriff Graham. 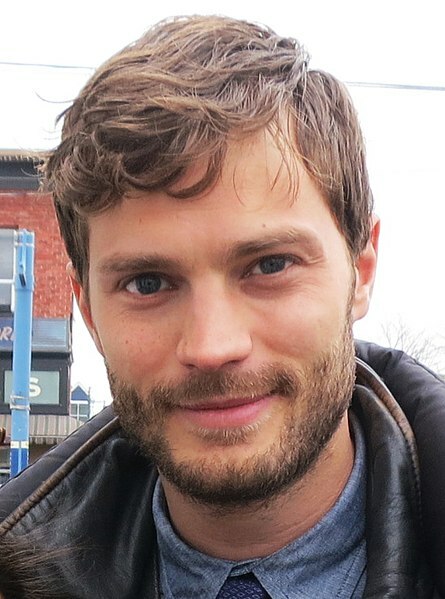 He played Paul Spector in British-Irish crime drama television series The Fall (2013–2016). Lives in Notting Hill, London, England. He became the new face of "Boss The Scent" for Hugo Boss (2018). He featured in advertising campaigns for brand's Calvin Klein, Giorgio Armani, Zara, Banana Republic, Hugo Boss, Desigual, Ermenegildo Zegna, Hogan, Gap and Aquascutum. Christian Grey - he isn't a real person. He's a superhero. A myth. He's like Bigfoot! He's unbelievable. He's unattainable. There's no actor in the world who could live up to that. I’m still not aware that I’m good looking. There’s definitely a chance my face will be seen again. I would have more chance with a model or an actress than I would with a normal girl in the street. I think I've done two shoots in my underwear ever. They both happened to be for Calvin Klein. But that tag - 'underwear model' - I just can't get rid of it. And it's such a bizarre, specific thing - underwear. It's like I never modelled clothes. Because I used to play a lot of sport, I've always been in decent enough shape. When I used to get asked to do a bit of body work before a photo shoot I'd lie and say, 'Yeah, I'm going to the gym.' I literally never did anything.